As mentioned last time, the new area is going to be one of the two exhibition rooms inside the Kaseki Residence. As such, it’s going to feature some more exhibits, similar to the main hall. And among those is what you can see above: my personal interpretation of Utahraptor ostrommaysorum, a carnivore that lived during the early Cretaceous and could grow taller than a human being (unlike Velociraptor mongoliensis which, in reality, would only reach up to a grown adult’s knees). 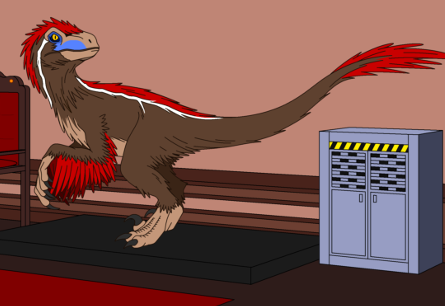 I had a lot of fun working on this and just couldn’t pass up on the chance of putting a raptor somewhere in the background, especially a properly feathered one, haha. As I’ve said before, I want GENBA to also have some educational aspects, even if they aren’t going to be the focal point, of course. Speaking of which… You can now view the profile cards for all four members of the Raptor Pack (a.k.a. GENBA‘s murder suspects) right here on our website! I have finally gotten around to updating the GENBA page itself, so that you can now check out a total of nine character introduction cards! The ones for our investigation team have also slightly been updated. 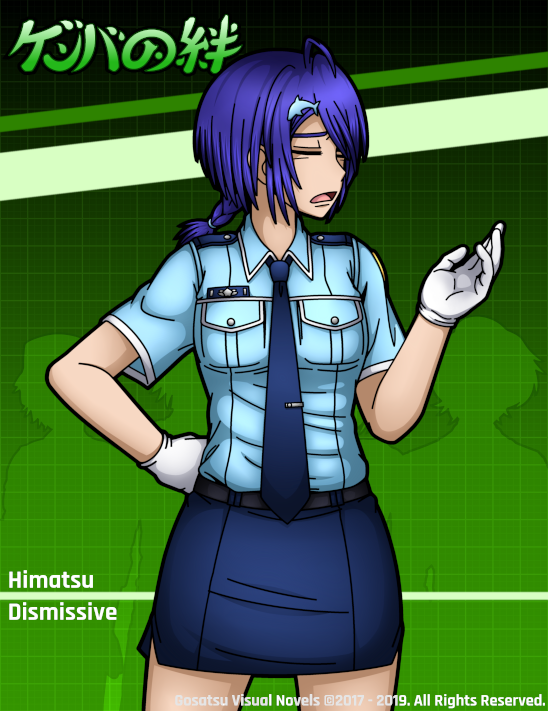 And on the topic of our investigators… I have also published another public Patreon post, showcasing some of Himatsu’s final sprite versions! 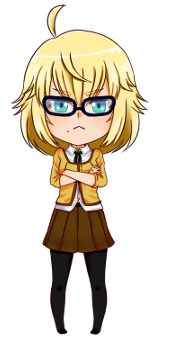 That’s right, Natsu has finished coloring all of them, meaning that they are now ready for in-game use! While I was at it, I also decided to make another post in our Lemma Soft Thread. So if you’d like to read a quick summary of our major progresses from the last couple of months, just head on over and give it a read! Anyway, I guess that’s it for today’s report. Right now, I’m busy finishing up our monthly artwork. If you’re a patron, you can expect to see a preview pretty soon, as well as take part in our next poll for May’s artwork! Once that is out of the way, I will then continue with the background, finally finishing the shading.